Samsung is now producing a Curved OLED TV that creates a more immersive experience than the giant flat screens that are now ubiquitous in First World living rooms. 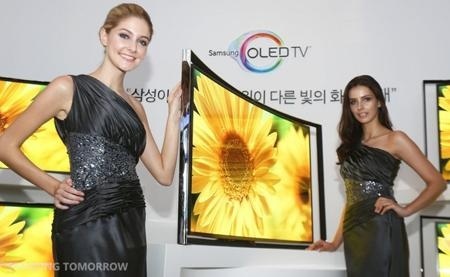 The curved OLED display is comprised of thousands of self-emitting diodes which are capable of offering richer and brighter images compared to existing TVs. The result is said to be flawless picture quality. The display is placed within a frame whose curved shape is meant to mirror the curvature of an arena.